The NBA fined New Orleans Pelicans center Anthony Davis $50,000 on Tuesday after his agent publicly shared the center’s demand for a trade. On a couple of levels, this is a joke. As Dane Delgado of NBC Sports pointed out so astutely, fining Davis $50,000 would be the equivalent of fining the Average Joe who makes $40,000 a year $78 dollars. Essentially, it’s a cheap parking ticket. Secondly, the $50,000 number is completely arbitrary, and the NBA had to know it’s just a wet noodle across the wrist (as we just noted), anyway. The Los Angeles Lakers were fined the same amount after being busted for tampering with Giannis Antetokounmpo. They were fined 10 times as much for tampering with Paul George. So, if the Association really wanted to make a statement, it could have. Instead, Davis basically paid a small fee to let the entire NBA community in on what has been hinted at for a while, which is that he’s tired of playing for a loser. The NBA just made it clear that, while it doesn’t approve of Davis breaking the rules, it isn’t really going to do anything meaningful about it. Davis and his agent have to be doing back flips right now knowing they are going to get exactly what they wanted without any real fuss. It was a calculated gamble, and it’s one that paid off big time. 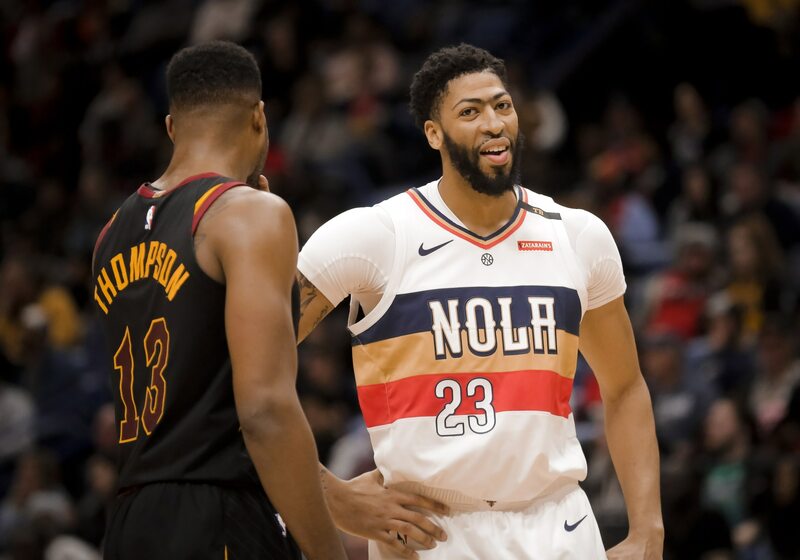 It sure seems like it won’t be long until Davis ends up in Los Angeles playing with LeBron James, and based on the latest report James’ old running mate Kyrie Irving might come along for the ride, too. It’s the era of the super team in the NBA, and the powers that be seem to be just fine with that.